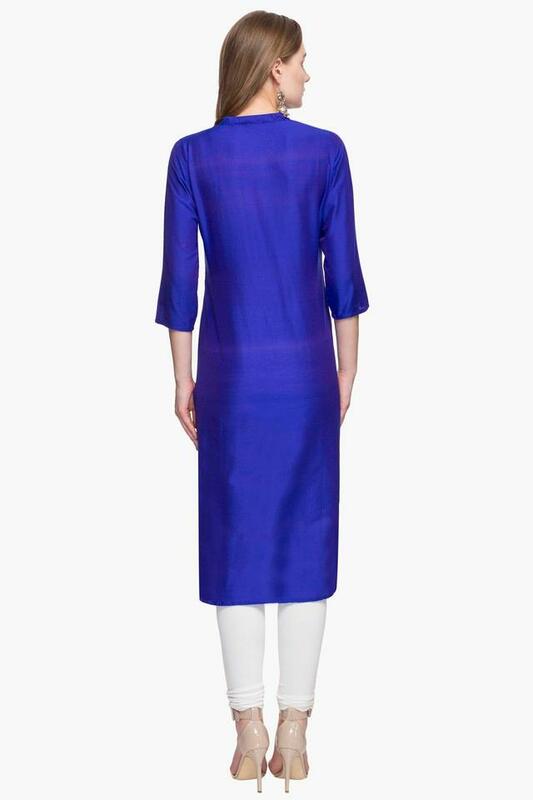 Add some style to your clothing collection by adding this kurta brought to you by Kashish. 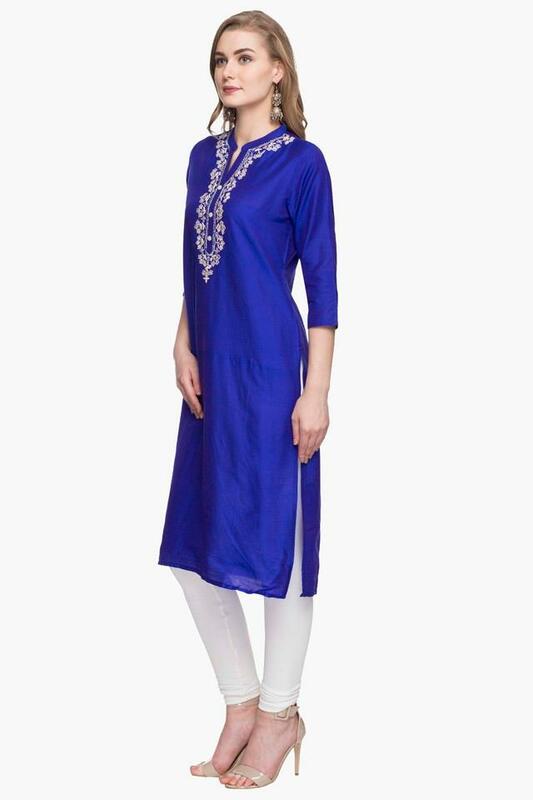 It flaunts a solid pattern, which gives it a classy look while the three quarter sleeves further enhance its overall appeal. Besides, it comes with a zari embroidery work at the front that further adds to its uniqueness. 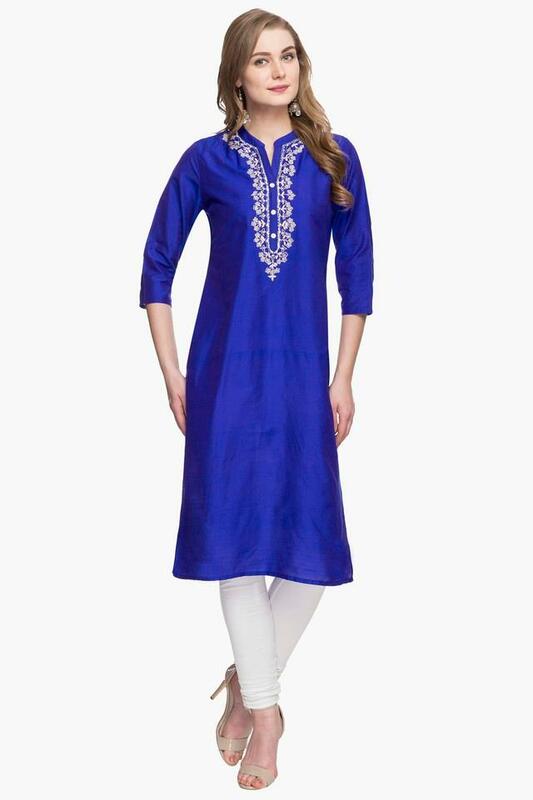 Simple yet stylish, this kurta with a zari embroidery work at the front will make you look fantastic for any casual occasion. Featuring a solid pattern, it will go well with a contrasting pair of Patiala pants.